Blame it on Phil Spector. Ever since the architect of the “Wall of Sound” melded string accompaniment with rock’n’roll, every band sooner or later develops ambitions to take their music to an epic scale. Those who’ve fallen under such illusions are the best and worst of contemporary music history: the Beatles, the Rolling Stones, Aerosmith, Metallica and countless others. Like the post-rehab comeback or the “returning to your musical roots” album, the symphonic music period is a cliche that few successful outfits seem immune to. Two new releases feature just such audacity, including one boasting contributions from the infamous producer himself. “Silence Is Easy” appears destined to go down in rock’n’roll history. What could make this record — the second offering from this British combo — so remarkable has nothing to do with their earnest pop-rock melodies or singer/songwriter James Walsh’s Bono-esque warbling. In a tragic twist of fate, this album might just feature the last recorded work by legendary producer Phil Spector. After a week of session in London’s famed Abbey Road Studios (you know, the Beatles, Pink Floyd blah blah), the quartet recorded two tracks with Spector, “White Dove” and the album’s title track. Shortly there after, Spector became embroiled in the shooting death of actress Lana Clarkson at his house and is now facing murder charges. 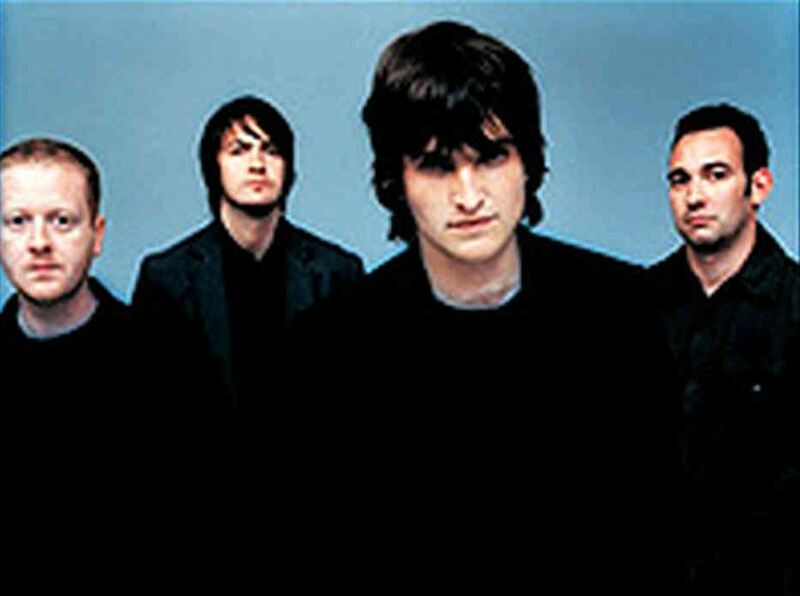 While Starsailor is a young band trying to establish itself after a million-selling debut, a tangential connection to such a sensational media circus has certainly given this record a bit more ink than it likely would have received (although it does ultimately deflect attention away from the band and their music). In fact, the band parted ways with Spector early in the recording process exactly because they wanted to distance themselves from him. Regardless, that’s what they have and what most people will ever know about “Silence Is Easy.” And while the band members can and have downplayed Spector’s contributions in print, his influence — sweeping musical statements reemphasized with copious use of strings — seems apparent throughout this album. Songs like “Bring My Love” and “Telling Time” are exactly the kind of mini- pop symphonies that Spector was arranging back in the early ’60s — the original rock operas. The melodies are pretty and lilting, and lyrics are vanilla enough to be forgettable. All that’s missing here is a really great singer. Walsh’s voice lacks the personality that could make these songs sound more than they are, as opposed to just plain pleasing. Walsh performs more admirably on “Four To The Floor” and the record’s namesake. On the latter, urged on by a build up of piano and drums, Walsh really belts it out. “Four To The Floor,” however, gives Walsh an opportunity to try something new. The track delivers the record’s first verifiable groove (a danceable beat no less) and one can imagine Walsh finally shunning those dour-colored coats he’s always wearing, and enjoying life wearing a ’70s polyester leisure suit. Not as elegant and lovely as Coldplay’s music, Starsailor’s songs exemplify a certain creative bravado that places it a mark above the detestable ear candy doled out by the likes of Matchbox Twenty and others. Deciding to hook up with Spector shows plenty of guts, and “Silence Is Easy” demonstrates that Starsailor has enough musical aspirations to rival that of their erstwhile mentor. Perhaps next time, they’ll make history on their own. With more than a dozen band members at his disposal, Lambchop’s musical svengali Kurt Wagner has never had the problem of scrapping up someone to play a pedal steel or strings to help him realize his musical compositions. This freedom spoiled Wagner, permitting him the kind of creative indulgence that only the most head-inflated rock stars can dream of. The result was a series of albums and stylistic zigzagging that would leave the heads of even his most dedicated fans spinning. The perennial question was: Where would they go next? For the band’s last release, 2002’s “Is A Woman,” they stripped away much of the group’s multi-layered musical grandeur. Chock full of understated, midtempo songs, the album showed Wagner and company had learned the art of restraint. By deploying embellishments sparingly, they avoided a frequent pitfall on their previous albums, in which they’d overpower listeners with too many sonic distractions. The collection was also fairly homogenous sounding. The tracks on “Aw C’Mon” and “No, You C’Mon” throw this philosophy out the window, and return to the days when the band would musically hold nothing back. An ever-evolving hybrid of country, jazz, soul, alt-rock and orchestral pop, Lambchop’s music now sounds more mature. No longer just toying with a genre, those elements have been completely assimilated within the band’s musical arsenal. The group seems to have put those years of experimenting and exploring to good use. The songs, which allegedly derive from an attempt to create a soundtrack to a 1920s-era silent film, switch from beaming symphonic bombast to pretty piano ditties to barroom-ready country-rock. The emotional tone of the records varies. Both albums begin with dramatic, string-filled songs (the peppy “Sunrise” and orchestral extravagance of “Being Tyler”), before settling into a pattern that features plenty of peaks and valleys. The only real negative for this pair of records is that it is two records. There are 24 songs to listen to and this a lot to swallow. This new prolific-ness signals that Wagner’s creative well hasn’t run dry and that his evolution as an ever greater songwriter will go on. His indulgences have taken the band’s music this far and it still prompts the same question: Where would they go next? While waiting for an answer, “Aw C’Mon” and “No, You C’Mon” should fill the time. Tags: "Aw C'Mon." "No, "Silence Is Easy", James Walsh, Kurt Wagner, Lambchop, Phil Spector, review, Starsailor. Bookmark the permalink.